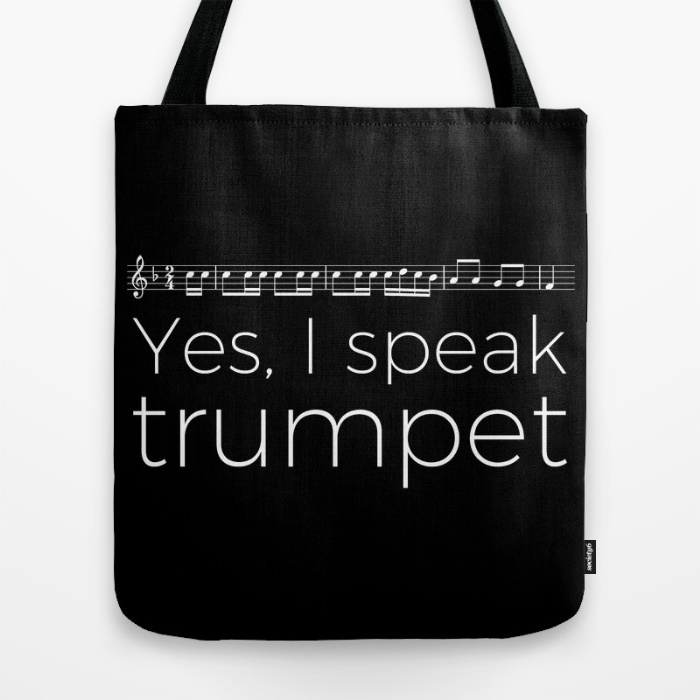 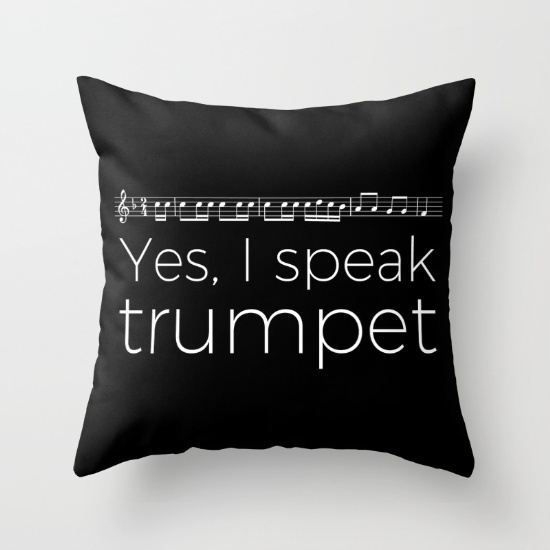 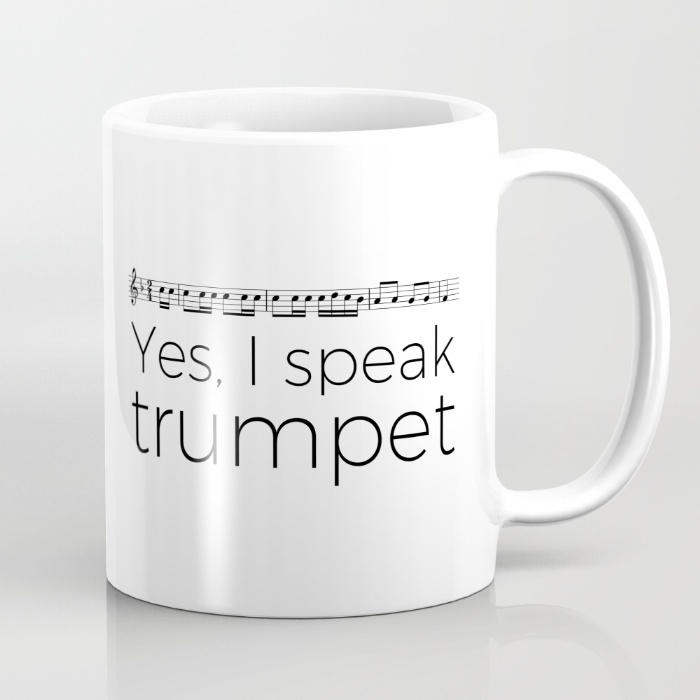 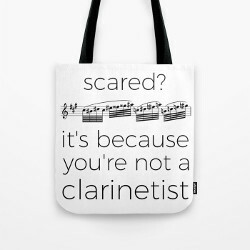 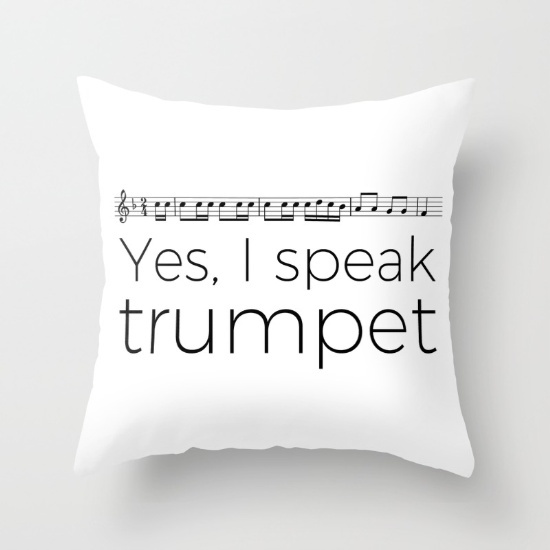 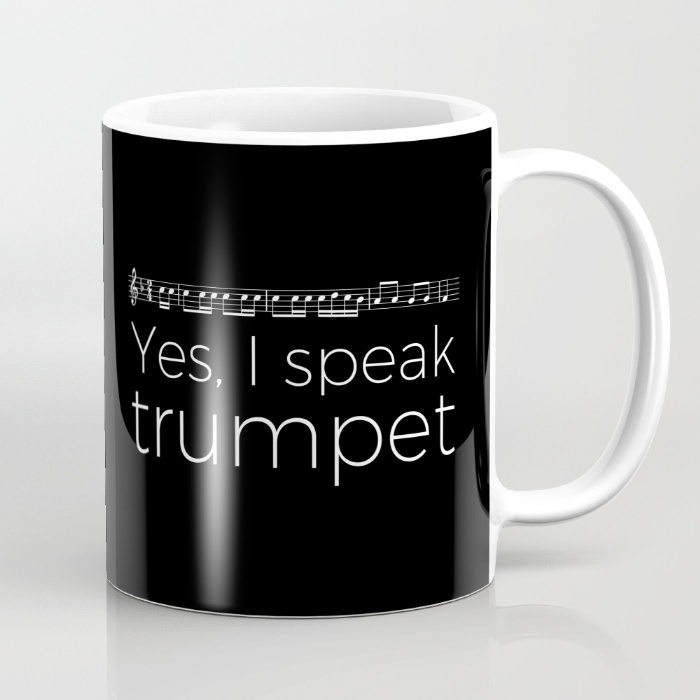 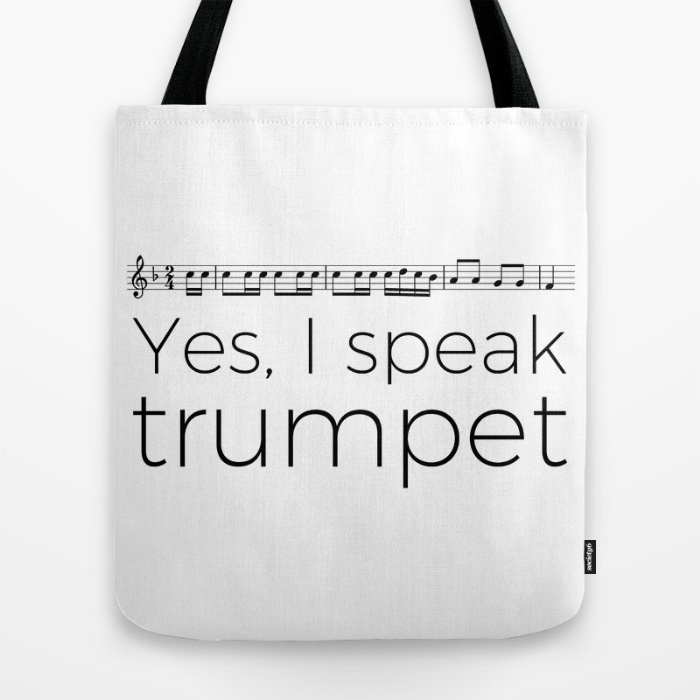 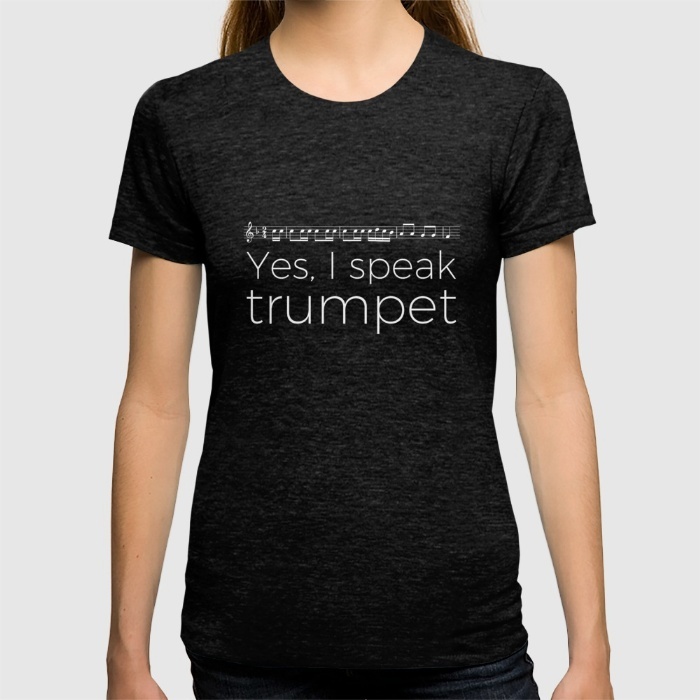 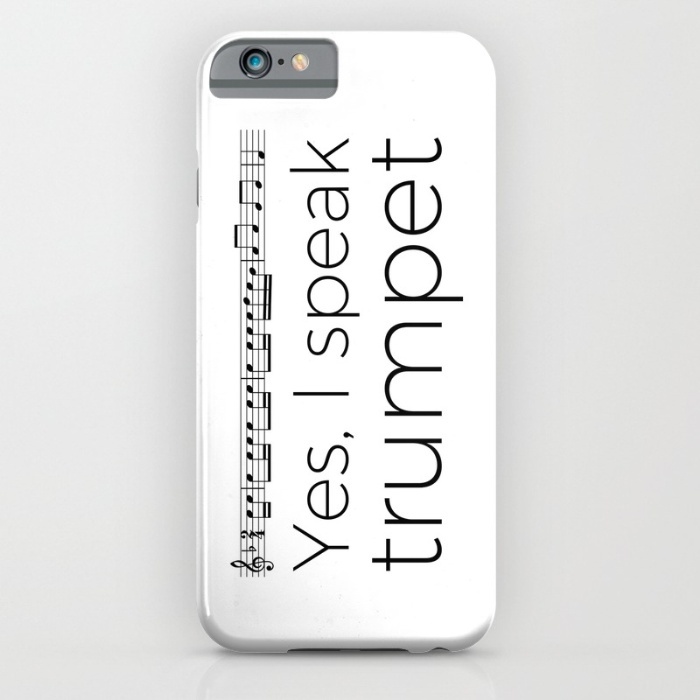 Here is some “Yes, I speak trumpet” stuff to give as a present or to purchase for yourself! 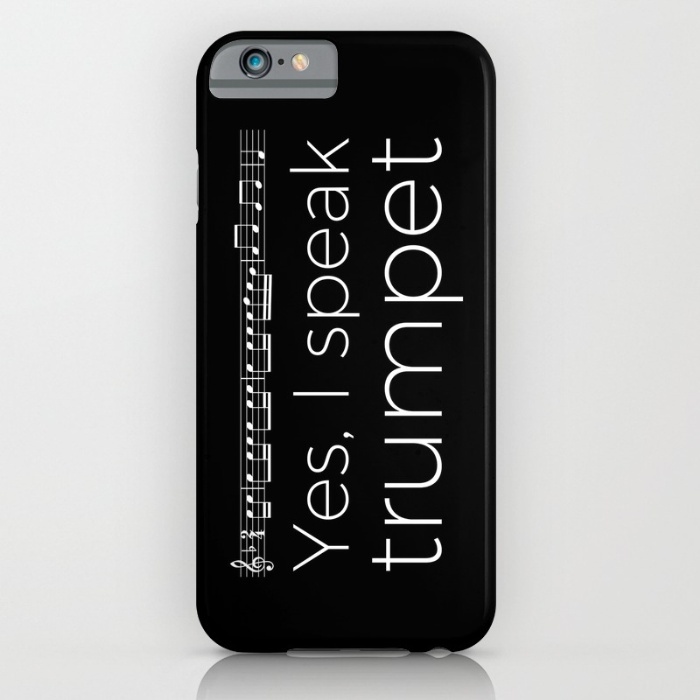 Here is the version for Bb trumpet. 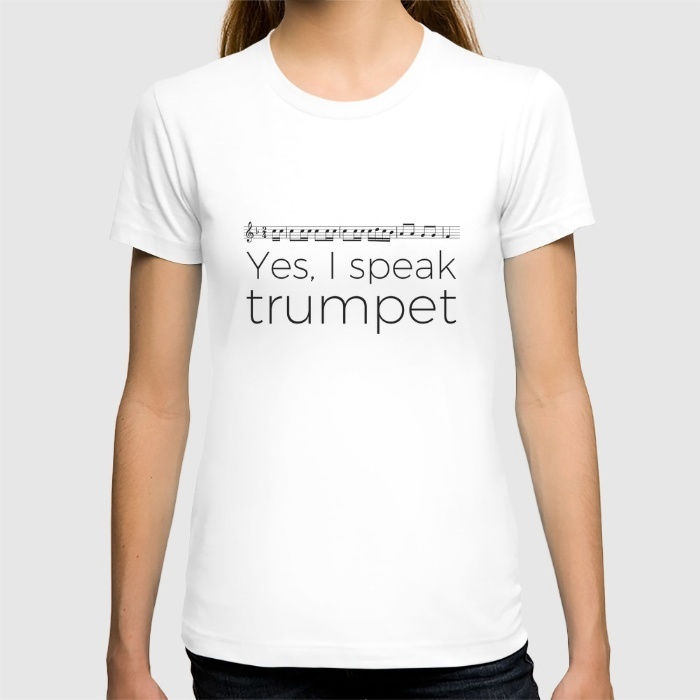 The original version in E for C trumpet is on this page.